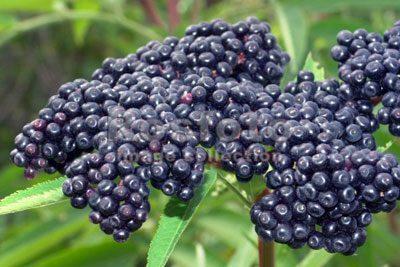 The healing properties of the elderberry allow you to apply it both in traditional and in folk medicine. Most often, this beautiful shrub can be found in backyards, in the woods. There are dangerous varieties of plants that can cause severe intoxication. To understand the elderberry are poisonous or not, you should be aware of all its varieties. During fruit ripening to distinguish shrubs from each other is very simple: they differ in the colouring and size of the bushes. Small tree, to 10 m in length, has a gray stem and branches, pointed leaves, not very pleasant smell. Small yellow-white flowers of the shrub have a fragrant smell, and usually bloom in summer. The berries are black or purple, ripening in early September. Sambucus nigra – not poisonous shrub. bark brew to induce vomiting and also laxative purposes. In addition, the excellent result showed a plant in the prevention of colds, and also in the treatment of infections of ENT-organs. Based on fruits, prepare jam, compotes, jams and jellies. The flavor of these dishes is slightly sour, so to improve the taste, they put vitamin C, citric acid, or other berry crops. Bush, growing in length up to 4 m, has other names – common or chastity. The shrub flowers white with green or yellow color, the inflorescence resembles a broom. The red berries are very toxic. 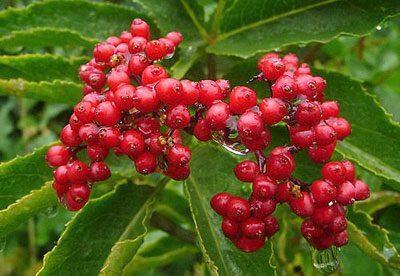 The red elderberry is poisonous. Unripe fruits and leaves of the Bush include poisonous substance contain sambunigrin. The plant is commonly used for landscape decoration as a decorative shrub. In medical purposes used flowers, bark, leaves, rarely roots. All parts have a diaphoretic and laxative effect, promote mochevyvodjashie, have anti-inflammatory properties, relieve fever and pain. Infusion of roots is used for psoriasis; preparations of the flowers for colds, bronchitis, diseases of the respiratory organs, ulcers, skin rash. 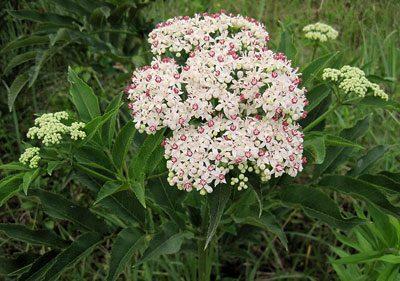 A perennial crop, small length – only 2 m. it Has white with pink tinge flowers, inflorescences collected in the broom, black berries, inside which a red juice. The smell of the Bush was fairly unpleasant. Are poisonous fruit and leaves, which contain glycosides, are able to trigger intoxication. This type of elder is the toxic and can cause severe poisoning. For therapeutic purposes, using the roots of the shrub. 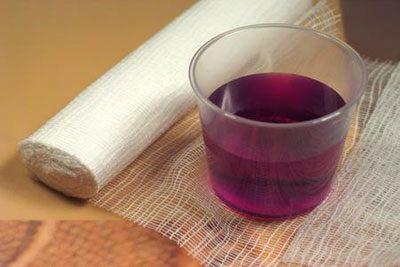 Preparations based on it have a diuretic effect. The leaves and flowers of the plant is used for treatment of kidneys, constipation, bladder infections, kidney stone disease, pathologies of the respiratory organs, sciatica. Much less used berries or not apply at all. All parts of this herb are considered to be dangerous and poisonous, so if you are using herbaceous elderberry in medical applications it is important to follow the right dosage, as well as to protect children from accidental ingestion of the fruit. All of the poisonous varieties of the shrub pose a threat to human life due to the content of hazardous glycosides. After penetration into the digestive system substances fall into hydrocyanic acid and aldehyde, which can cause intoxication and disrupt brain function. 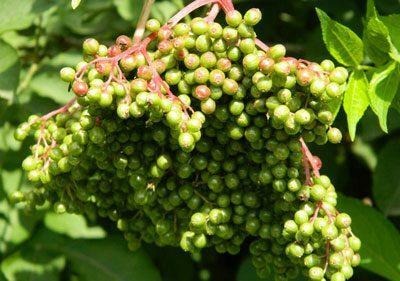 Most often poisoning occurs when ingestion of the unripe berries, which are the immature form is easily confused with elderberry. In addition, the toxic Bush can enter the body after direct contact with the plant with raw hands. Frequent cases of poisoning is established in the use of medicinal tinctures from the leaves, buds, shoots poisonous shrubs. Signs of toxicity may increase with the introduction of the poison from the digestive tract into the duodenum. 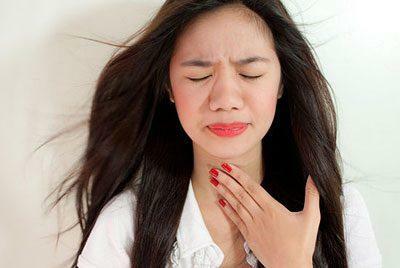 Severe condition, dangerous appearance of congestive heart failure, can cause death. If poisoned child, medical help is needed immediately. The body of young children are often not able to cope with severe intoxication. the use of laxatives, sorbents, for example, enterosgel, activated carbon and others. One of the dangerous consequences of the use of immature or herbaceous berries of red elderberry is toxic brain damage, entailing difficulty breathing, loss of motor skills and death. To avoid possible complications, it is necessary to pluck only the ripe berries, carefully applied green parts of the plant or completely eliminate their use and to comply with the required dosage when using folk remedies based on plants.